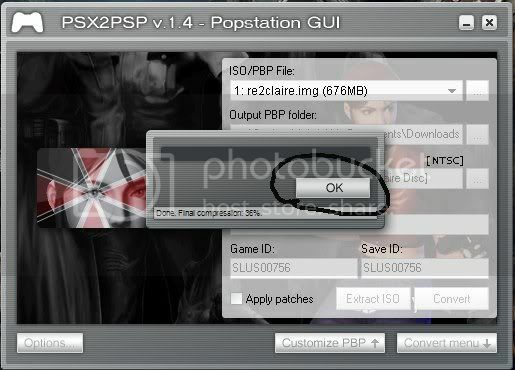 I'm writing this tutorial for now, running under the assumption that you have the iso file for the game, legally or otherwise. 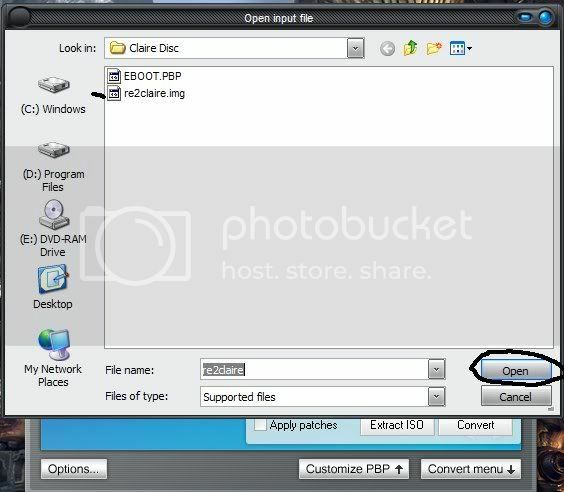 in the "files" folder, this will fix the "missing base.pbp" error. 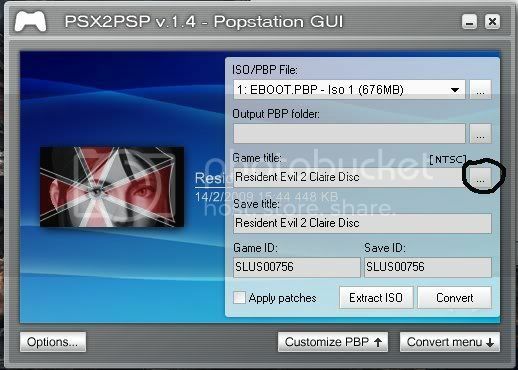 2)Once you have the program open, click on the [...] icon beside iso/pbp file and navigate to the iso that you would like to convert for the psp. 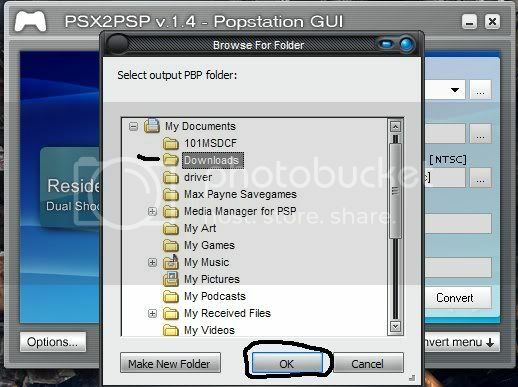 4)For the Game Title, Save Title, Game Id, and Save Id, you can either enter them manually, or use the list built in to the program. again, to get to the list, click on the [...] icon next to the game title to bring up this list. 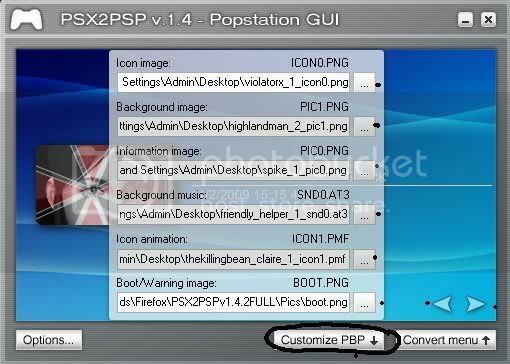 PART 2: CUSTOMIZING YOUR EBOOT!!OPTIONAL!! 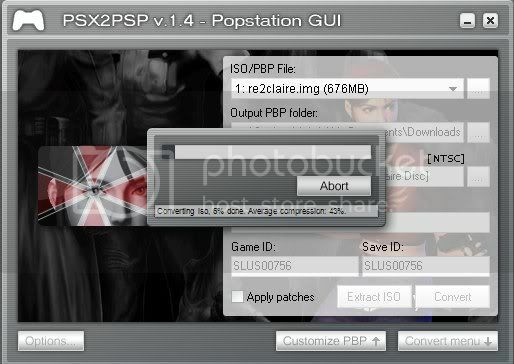 If you wish to add custom icons, backgrounds, music and video to your PSX games, you can do this through the "customize PBP" menu. 5) First, minimize the convert menu by pressing the convert menu button at the bottom, it makes it a little easier to read everything. 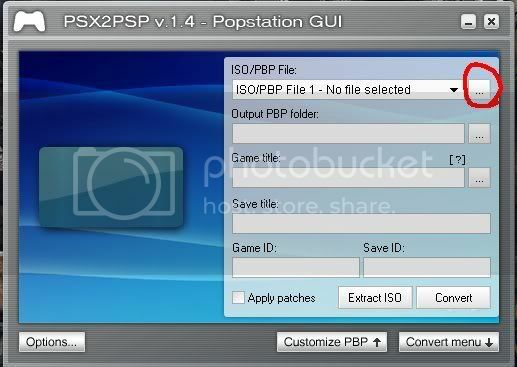 6) Now that the data input is done, you are ready to convert the iso into a file that your psp can read, an eboot. 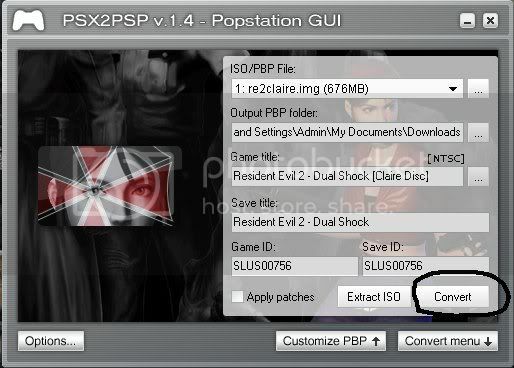 take one last look at all of the settings, change whatever you need to and press the convert button. Depending on your computer, this could take up to 20 minutes, but a new computers can get this process done in about 3-5 minutes. Last edited by CSM101; 04-26-2009 at 12:55 AM. Rain already made a guide on how to do this but yours is more in depth on actually making eboots. Last edited by Aaron*1; 02-15-2009 at 01:45 PM. It's good to see someone with low posts posting a guide on how to something instead of asking constantly how to do stuff. I think I'm gunna go look for my old PS1 games. please help me what should i do? Last edited by haris_ahmed; 07-14-2009 at 09:04 AM. 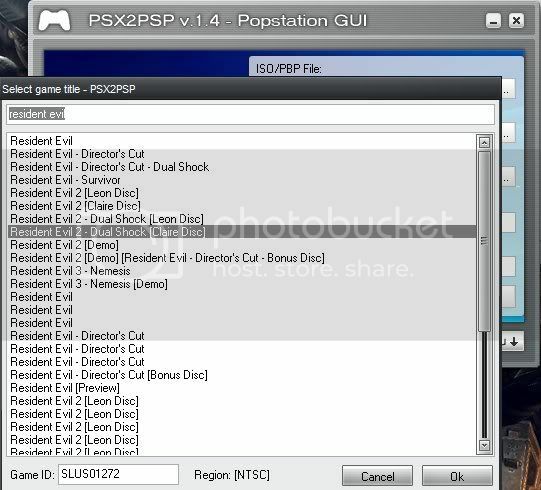 hey so i already know how to convert single disc games but im having trouble getting the multi disc games working. Is there any way you can explain that one for me?